Description 1st ED. 64pp. many b/w illus. good cond, little faded on spine. pict board cvr. 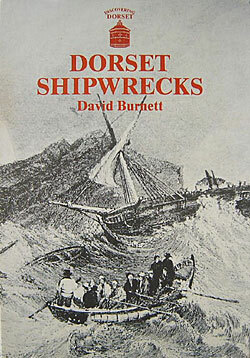 In addition to the chapters on wrecks there is also included sections on the coastguard and lifeboat service, lighthouses, shipping sunk by enemy action and a chronological index of all known Dorset Shipwrecks.